There are moments in a season that define teams. Some handle adversity by staring it in the face and overcoming, while others let adversity ruin a season. This the crossroads that the American Heritage Patriots face after a stunning 6-5 walk-off loss to Park Vista. Before the game, Manager Bruce Aven spoke about how his team has had to learn once again how to play team baseball. In a day and age where players participate in powerhouse summer travel programs, it is rare that those with top talent get asked to play situational baseball to win games. For most of the game Wednesday, it looked as though the Patriots had come together on the idea of team baseball. Heritage took leads of 1-0, 3-1, and 5-3 on the road, largely due to timely hitting and execution of baserunning and bunts. In the first inning, Giuseppe Ferraro did not try to do too much as he hit a single up the middle to drive in Jordan Carrion with the first run of the game. Matt Ruiz showed the Patriots power in the third, hitting a solo home run. In the fourth, Joey Cinini doubled, and then scored on a Hunter D’Amato bunt. D’Amato would again produce a run scoring squeeze bunt in the sixth. Those runs, however, would not be enough. Patriots starter Devin Futrell held the Cobras to three runs in his five innings of work. The bullpen for Heritage did not have such positive results. In the seventh, a pair of walks started the comeback for Park Vista. After a foul out on a bunt attempt, the Cobras hottest hitter, Nolan Shanuel chopped a ball to second, that went for a hit. That brought Taylor Clapp to the plate. The Cobras clean-up hitter, who had been 0-for-2 heading into the at-bat, had a play. The result was a three-run, walk-off double to left-center field, sending the home team and their fans into a frenzy. For Heritage, it was the third loss in the past week against state-ranked teams. 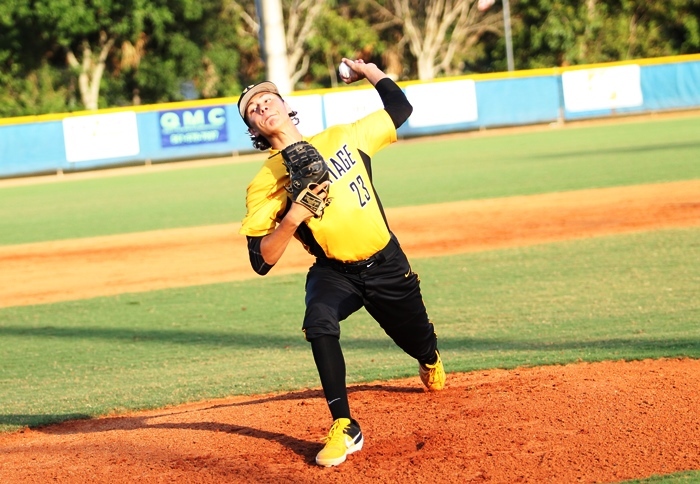 First, Westminster Christian, the top team in HSBN’s Miami rankings beat the Patriots 3-2 in what could have been the game of the year in South Florida so far. 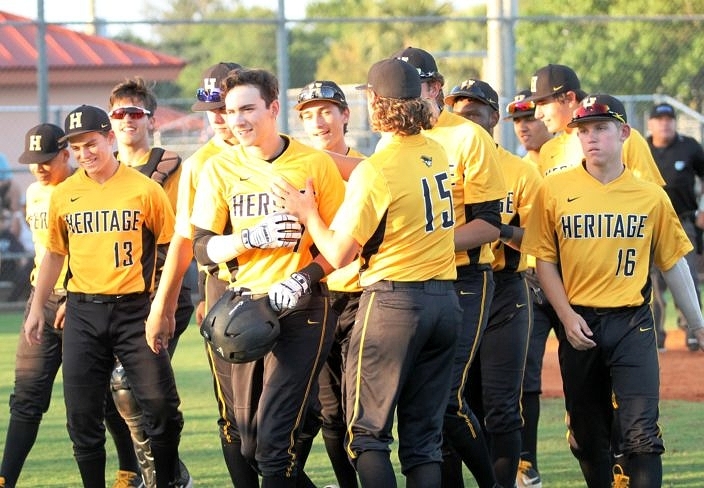 HSBN Florida #1 Calvary Christian defeated Heritage Monday, and Wednesday’s loss to Park Vista puts the Patriots in a position they have not been in much this year, looking for answers. The schedule doesn’t get any easier moving forward, with games against Jupiter, Florida Christian, Killian, Flanagan, and Wellington on the horizon. Four of those teams are ranked in the top ten of HSBN rankings in their county.